1. We made a list of our debts. Make a list of your debts and look at where your money is going. I know that you have heard this a million times, but it helps. 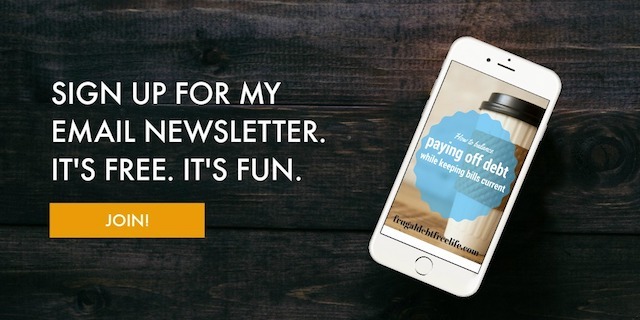 I admit, it might be hard to look at that number in black and white, but simply writing down your debts and looking at who you owe what will bring a little bit of sanity to the situation. It was like looking at turn by turn directions on a really long trip. I knew if we could just get down one road and eliminate that debt we could then move to the next road. 2. We tracked our spending. Look at where you're spending your money over a period of time. You can do this one of two ways, but either looking at your bank account or by carrying a notebook around with you and writing it down. I recommend the second one because you can really see your wasteful spending. 3. We got brutal about what we could cut. You might think your budget is tight, but believe me there is usually something that can be cut. Of course we did the usual like cut cable, dropped some subscription services, quit going to movies or even paying for rentals but we took it even further than that. We quit using paper towels, we were less wasteful of food and utilities and we limited our driving to save on gas. I started meal planning and learned to stretch leftovers and other ingredients. 4. We focused on the four walls. The four walls are a concept Dave Ramsey talks about. They are food, electric/water shelter (rent/mortgage), transportation (because you HAVE TO GO TO WORK). If you can get a handle on these things, get current on your rent and your car you will feel better. You won't feel as panicked, you will feel calm. Trust me. Trust me on this one. Do not, ever, under any circumstances, pay your Visa bill before you pay your rent or mortgage. 5. We cut our grocery bill. This might not work for those of you with special dietary needs or allergies. But you can stretch rice and beans further than you think. Get your sales flyer, head over to Passionate Penny Pincher and learn to use some coupons. No, coupons won't be the end all be all in your budget, but if you can learn to control your grocery budget you can learn to control other parts of your financial life. 6. We learned to say NO. It was awkward. But saying no to social situations that cost us money saved us money. It isn't easy. It is awkward. But I found if you're honest with people they understand. 7. We learned to do without. Since we are now out of debt I loosened the reins on this slightly (but I will be tightening them up as we work to pay off our house early) but we just did without things we didn't truly need. We just recently bought a new dryer after years of using the same old dinosaur that was chugging along. It got our clothes mostly dry and I used a clothes line for a lot of things. 8. We said yes to hand me downs. Our baby's crib, his clothes, my clothes, our bed, our dining table, even the terrible sounding but very efficient vacuum cleaner are all handed down. I understand that not everyone has hand me downs. But web sites like Freecycle and Craigslist have tons of free things from clothes to furniture. 9. We asked companies to lower our bills. When our oldest was born I asked the hospital if they offered a discount for paying the bill all at once. More recently Jason got the cellphone and internet company to lower our bills just by asking. We listed things on Craigslist, eBay etc. It is amazing what people will buy. We sold a broken laptop for $150! 11. We found ways to earn extra income. I started a small business working from home. This is actually something we started doing after we had gained control of our budget, but we did it as an effort to get the debt paying ball rolling. 12. We were honest about our expectations. It will be hard. You won't like it. 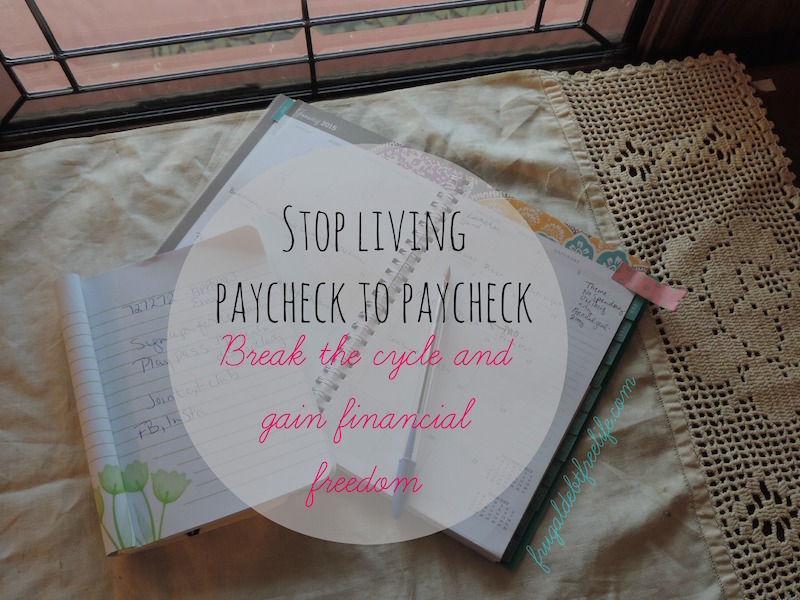 You will want to fall back into the old pattern of spending. But don't. Fight that urge. That's the only way to move forward and change your behavior. 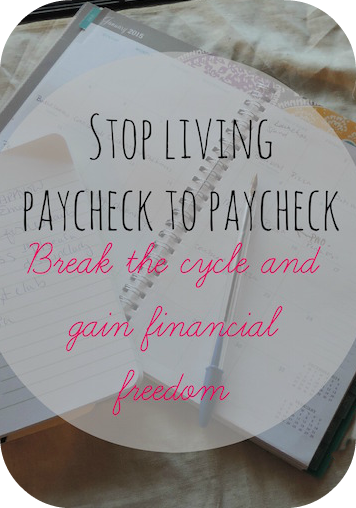 What are you doing to eliminate debt in your life?